1st prize in the restricted, highly competitive competition with 12 participants. 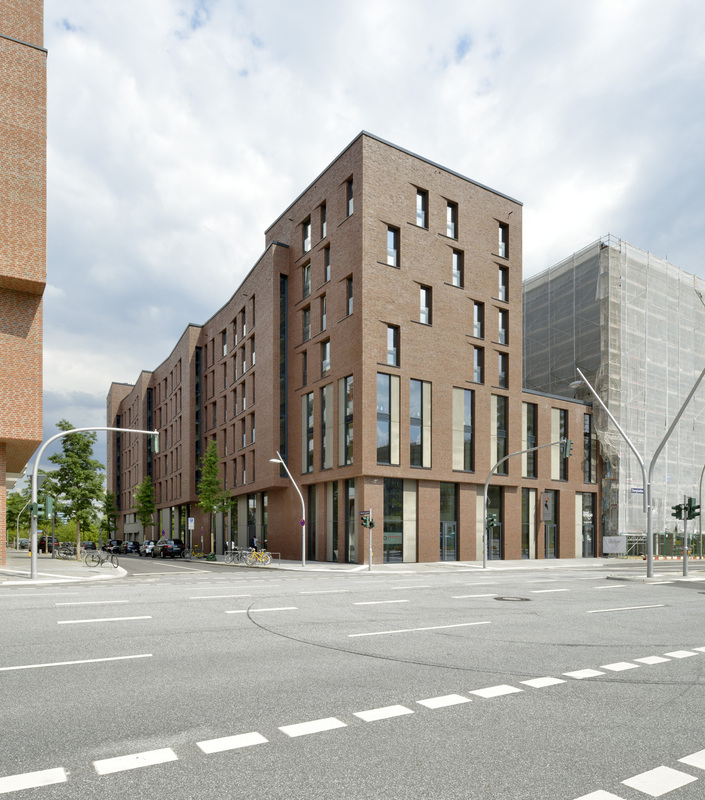 As the result of an invited architectural design competition, a perimeter block development is planned for the eastern part of the HafenCity in Hamburg. The new purpose-built buildings at Lohsepark will house residential and working quarters, including an assembly of 65 residential units, a commercial area, and a kindergarten on the ground floor. 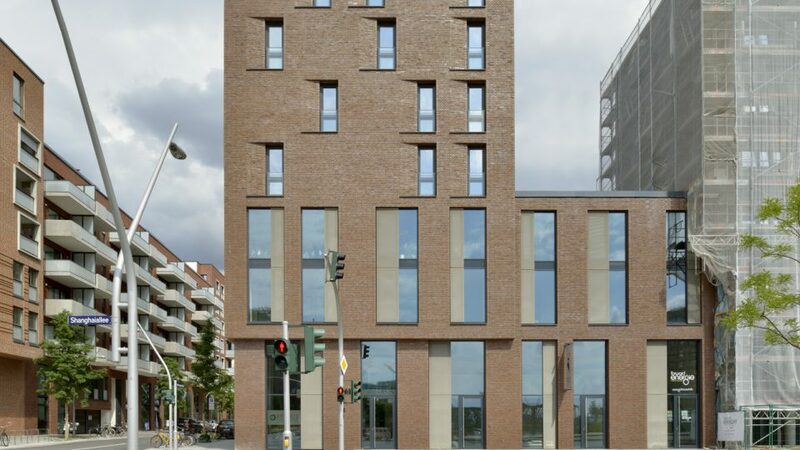 In keeping with the style of the Speicherstadt buildings, a striking and very expressive facade design is planned for the northern part of the block development. 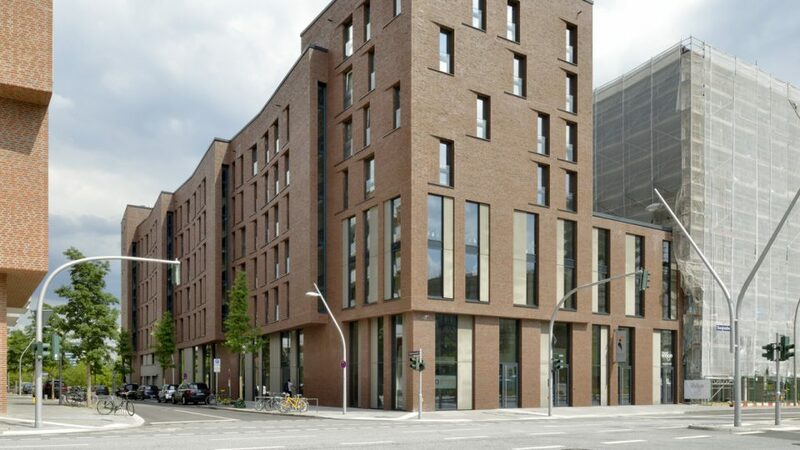 The modern perforated brick façade ensures that the development is in harmony with the colour and structure of the surrounding newly developed buildings, while retaining its own unique character and contemporary design. 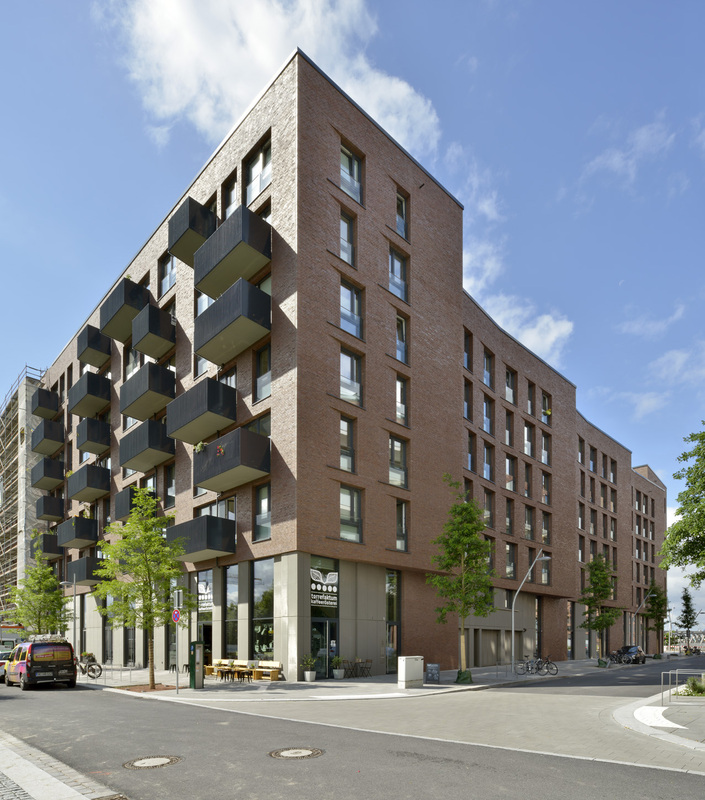 In order to meet the demand for distinctive elements which strengthen the building’s identity, a simple but effective design principle was applied: the facade above the base area of every unit leans outwards by up to one metre. 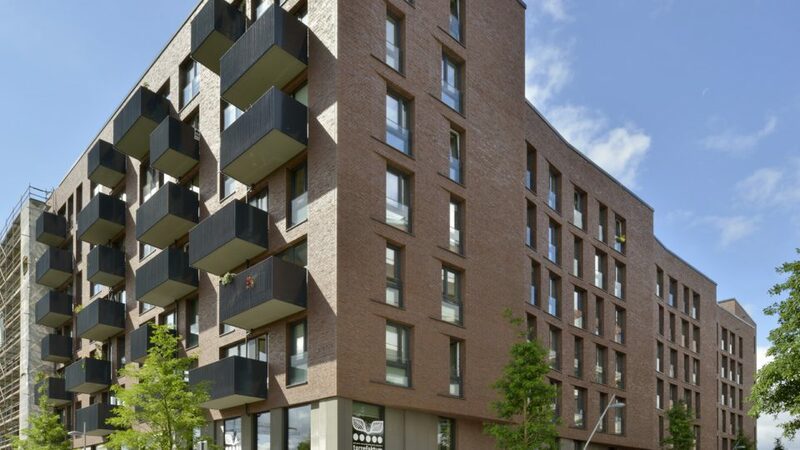 In doing this the angled view creates the special effect of the brick surface appearing like a series of oversized scales wrapped around the building. 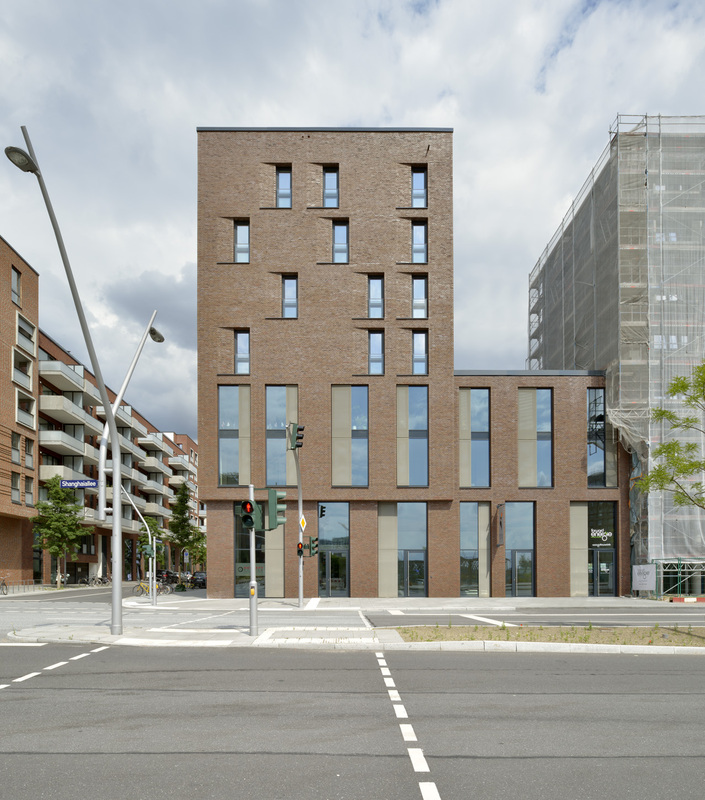 As well as giving the rooms in this space visual orientation towards the Lohsepark, the fragmentation of the façade provides the additional positive benefit of noise control. The north and west-facing apertures have a wedge-shaped indentation on one side, providing more detail to the scaling effect and giving the facade a subtle plasticity. In addition to shared green roof areas, pavilions, either individual or connected to the floor beneath, form part of the maisonette apartments.